While you may dream of driving the RV wherever the road may take you, the truth is that sometimes you might have to transport it. 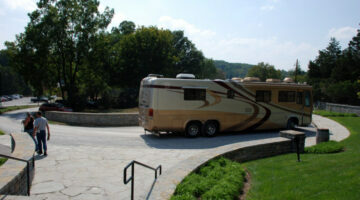 Transporting an RV can seem like a daunting task, but it doesn’t have to be. If you are well prepared and do your research, you should be able to have a smooth move and save a lot of money. Fun RV Tip: Watch Movies On The Road With Netflix, Redbox, Amazon, Roku, Chromecast & More! There are a couple of unique options for RVers who like to watch movies, documentaries, TV episodes, music videos, and more — whether you’re a fulltimer or a weekend traveler. Here’s how to make Netflix work to your advantage while you’re RVing. Hoosier Transit Is Hiring RV Drivers… NOW! 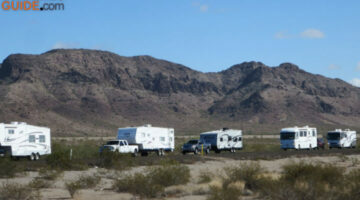 What follows are all the best resources I could find regarding towing with a motorhome. 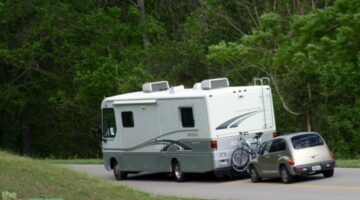 If you’ve got a question about towing another vehicle or a trailer behind your motorhome, chances are you’ll find the answer here. 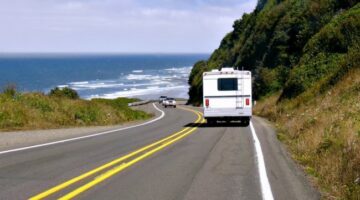 No matter where you are in your RV roadtrip, with this list you can find the information that you want to know about the state(s) you’ll be traveling through — all in one place. 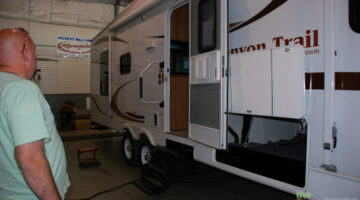 We’re talking things like road conditions, fuel locations & prices, dump stations, propane service locations, and more! 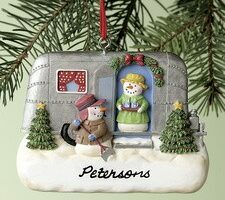 Check out these adorable RV, motorhome, and 5th wheel recreational vehicles in the form of Christmas ornaments. Most of them can also be personalized! 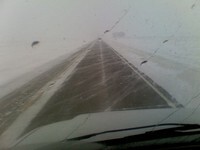 Spending the holidays on the road this year?… You’re not alone. 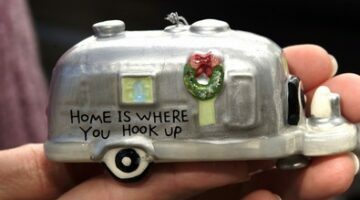 This is my short & sweet tribute to RVers who spend a lot of time on the road — including the Christmas holiday. 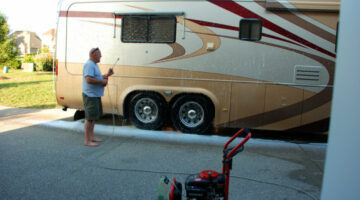 Just a couple of fun photos that help to captivate the wintertime moments that many RVers have grown accustomed to. If you’re an RVer, then you’ll have fun with these photo greeting cards! 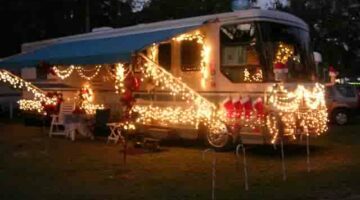 You can personalize these holiday cards with your own RVing picture, write your own message inside, and they’ll even ship the cards to any addresses you specify… all for less than $3.00 apiece! In Cleveland, Tennessee full time RVrs were recently kicked off the voting rolls. That’s because people are registering with companies like Mail Call U.S.A. — based in Cleveland, Tennessee — or the Escapees RV Club — out of Texas — to forward their mail to them. However, the RVer doesn’t even have to step foot in the state.